Earth's shadow to take bite out of larger-than-normal full moon. Earth's dark shadow will appear to take a bite out of the full moon Monday during a partial lunar eclipse. At the same time, the moon will be at perigee—the lunar orb's closest approach during its egg-shaped orbit around our planet—creating an eclipsed "supermoon." "It's a very cool kind of thing to see. It gives us an almost 3-D feeling for space that we don't normally get," said Mark Hammergren, an astronomer at the Adler Planetarium in Chicago. We don't see an eclipse with every full moon because our natural satellite follows a tilted orbit around Earth. This tilt also means that an eclipse can be full or partial, depending on how much of the lunar disk falls in our planet's shadow. The last total lunar eclipse was in December 2011, and the next one doesn't happen until April 2014. Monday's partial eclipse will be visible to sky-watchers in most of North and South America during the early hours before sunrise. Meanwhile, observers in Australia, the eastern parts of Asia, and across the Pacific Ocean will see the partial lunar eclipse Monday evening just after sunset. The eclipse will last for more than two hours and will reach its peak around 4 a.m. PT, when about a third of the moon's disk will be covered in shadow. In early May the moon was at perigee within minutes of the official full moon phase, creating a supermoon that appeared 16 percent bigger and 30 percent brighter than the year's other full moons. Next week the moon will officially reach perigee the day before the full moon, swinging just 222,750 miles (358,482 kilometers) from Earth. But the lunar orb is only 0.26 percent farther away on the days before and after its closest approach, Hammergren said. That means the full moon will still look slightly larger than normal during Monday's partial eclipse. "It won't be a very noticeable effect," Hammergren said. "The full moon will look only about 5 percent larger than it does on average, appearing perhaps just a little bigger than it usually does." Still, he added in an email, a supermoon eclipse is a relatively rare sight. "If you restrict the label of 'perigee' to within only one day of true perigee, then such eclipses will only occur every 10 to 12 years." While partial lunar eclipses are entertaining events for modern sky-watchers, in ancient times they served as some of the first evidence that Earth is not flat, Hammergren added. "The Greeks understood that lunar eclipses happen when the shadow of the Earth is falling on the moon," Hammergren said. During a partial eclipse, Earth's shadow on the moon's face clearly traces a circle. "No matter what your angle was when the eclipse occurred, the shadow was always circular. And the only thing that projects a circular shadow no matter its orientation is a sphere," he said. If Earth was flat, by contrast, the shadow would sometimes appear as a thin line or a squashed oval. An eclipse, therefore, is "visible proof that anyone can see." After the great success of World Liberation Day and even greater success of Reboot of the Grid, our efforts for planetary liberation continue. 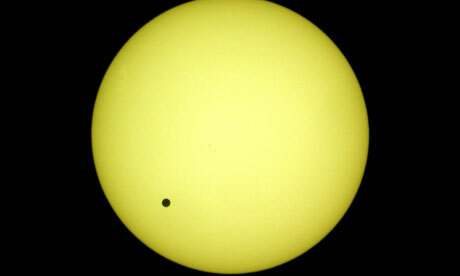 This time, we will meet in groups large and small, as individuals and couples, at the exact time of the Venus transit on June 5th. Masses will gather and visualize the arrival of the Goddess energy so that for the first time in 5000 years we will have the chance to co-create our own spiritual destiny in harmony and replace the outdated society of war and conflict with a more advanced one of spiritual understanding. We need to have 144,000 people doing this visualization with focus to achieve the desired effect. 2. Visualize a pillar of electric blue Light emanating from the Galactic Central Sun, going through your body to the center of the Earth. Keep this pillar of Light active for a few minutes. Then visualize a loving feminine presence in the shape of a beautiful Goddess descending from the sky and entering your physical body. If you are female, this presence will harmonize your inner woman and make you more loving. If you are male, this presence will make you more balanced in your actions. Stay united with that presence for a while.